The European spirit on (dead) horseback? It did not look like a particularly auspicious week for political cartooning in Britain, what with the publication on Thursday (18 January) of The Sun‘s vile (and, let’s be honest, aesthetically rubbish) ‘Bye-EU Tapestry’. I will not link to it – you can look it up if you wish – but it a) depicts decapitated European leaders and b) once again proves my point about right-wing cartooning almost always being terrible. It is well known that the vision of the crossing in David’s painting is highly romanticised: for example, instead of the horse with its glorious, flowing mane, Bonaparte rode a (far more practical) mule. 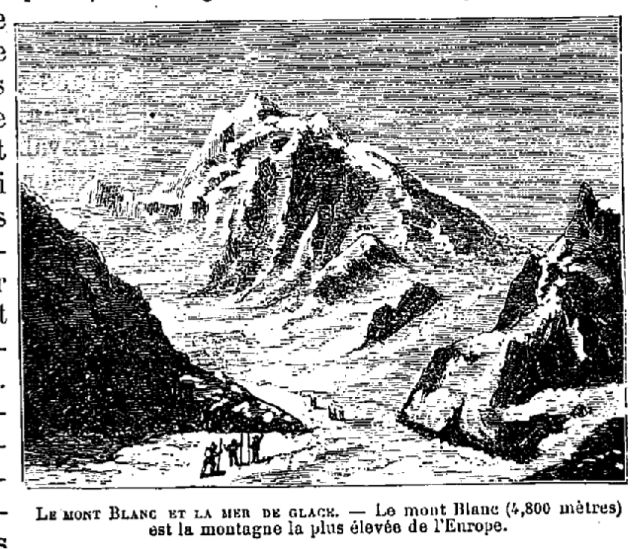 While the beautifully-embroidered uniform he wears is accurate, it seems unlikely that Napoleon would have attempted an Alpine crossing at altitude without his overcoat. In this respect, Paul Delaroche’s later work Bonaparte Crossing the Alps – now in the British Royal Collection, purchased by Queen Victoria – is probably more accurate. (Note the position of Napoleon’s right hand in the Delaroche portrait – the ubiquitous pose was almost indispensable by the mid nineteenth century). David’s portrait captures the young Bonaparte pointing the way into European modernity. The billowing cloak echoes the curtains in David’s sketch of the Tennis Court Oath of 1789, symbolising the wind of revolution sweeping through France. But David was careful, by 1801, to present Napoleon as part of a much longer lineage of European leaders. Carved into the rocks in the bottom left of the painting are the names of those who have gone before him: Hannibal. Karolus Magnus (Charlemagne). And, bigger than them both: BONAPARTE. In his pastiche (or is it parody? ), Bell has replaced the golden cloak with the flag of the European Union. Here, perhaps, he refers to Macron’s apparent desire to be the European leader. He leads the Union towards its destiny, pointing the way forward – to paraphrase Hegel on Napoleon, ‘the Union-spirit on horseback’. His steed, though, is neither an unnaturally glamorous horse nor a reliable mule, but the put-upon Theresa May, shown here in the caricatured guise Bell has created for her: that of a grotesque clown in kitten heels, harlequin costume, and caked-on makeup. (Truth be told, she actually looks cheerier than she did at yesterday’s Franco-British summit, when her expression was even more downbeat than usual). In this context, some readers might see in Bell’s cartoon a degree of sympathy for the tragic, clownish May – a dead horse being ridden around by a cynical Macron in the guise of one of l’Albion perfide‘s great enemies. It is clear, too, that the depiction of Macron as Napoleon (Macropoleon? Macronaparte?) is a way of sniping at his ego and self-importance. Here, Bell picks up on a common theme in so many British representations of Napoleon: his depiction as a puffed-up, preening, (and of course, even though it’s not historically accurate) little upstart. Macron’s youth and taste for performative, symbolic politics (which I have already discussed in light of his decision to address the Sénat and Assemblée nationale at Versailles), coupled with his stated determination to transcend political divisions and unite France, have made comparisons with Napoleon – whether positively or negatively – rather easy. Bell’s image is certainly not the last time cartoonists will draw on Napoleonic iconography to comment on, or more likely lampoon, the president. Indeed, I was struck by Bell’s careful inclusion of that odd little tuft of Macron’s hair, poking out from underneath the bicorne. It immediately triggers an extra layer of Napoleonic recognition, bringing to mind the kiss-curl or short fringe we mentally associate with later images of Bonaparte. No matter that in David’s original, Napoleon’s hair is still decidedly Romantic: wavy, longer locks frame his face. Macron, at least in terms of his coiffure, appears here even more ‘Napoleonic’ than Napoleon. The only question remains: who, he or May, is facing their Waterloo? There can’t have been many people who reacted quite as excitedly as I did to the announcement at the end of last week’s (17 September) episode of the drama Victoria (ITV) that, next week, the queen would find herself ‘toe to toe with the French king’. I stopped knitting. Did this mean… Louis-Philippe? The July Monarchy? On Sunday night British TV?! Most of the British audience for Victoria will, most likely, have never heard of the first and last Orleanist king of the French, despite his close connections to Britain. He sought to improve the relationship between the two countries – Victoria’s 1843 visit, depicted in this weekend’s episode of the series, was the first visit to France by a reigning British monarch since Henry VIII and Francis I met at the Field of the Cloth of Gold – and spent the last two years of his life in exile in Surrey, dying at Claremont in August 1850. What may surprise some about Louis-Philippe, and the Orléans branch of the French royal family from which he came, are their revolutionary credentials. His father, Louis-Philippe, duke of Orléans, was a noble deputy to the Estates-General of 1789, joined with the deputies of the Third Estate in breaking away to form the National Assembly, and was elected to the National Convention in 1792. There, he adopted the name Philippe-Égalité (Philippe Equality) and sat with the radical deputies of the Mountain. In 1793, he voted for the execution of his cousin, Louis XVI. The younger Louis-Philippe – then the duke of Chartres – served in the revolutionary armies at the battles of Valmy and Jemappes in 1792, a fact he trotted out regularly in the early years of his reign as king, as evidence of his commitment to the principles of 1789. When he transformed part of Versailles into a museum, he devoted an entire room to the battles of 1792 and included a portrait of his youthful self alongside images of revolutionary generals. Louis-Philippe’s portrait in the room dedicated to revolutionary generals at Versailles. Smug. Louis-Philippe’s decision to support general Dumouriez’s attempted putsch against the Convention in 1793, however, proved fateful. Considered a traitor by the revolutionary government, he did not return to France until 1814, living in exile variously in Switzerland, the United States, Havana, and England. 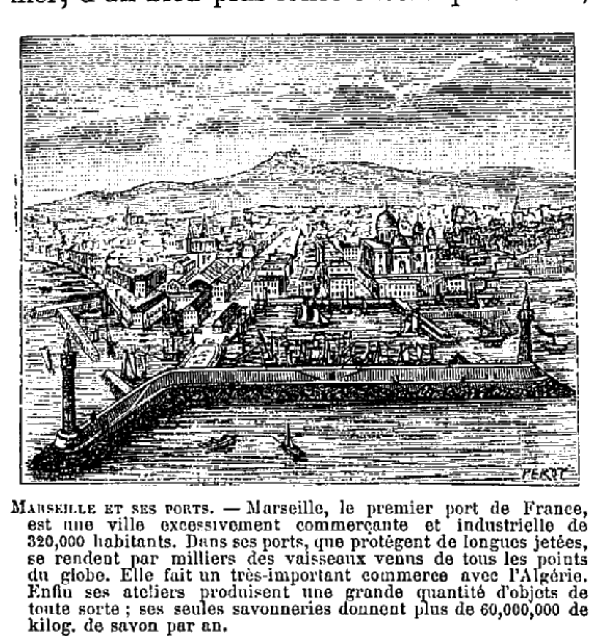 Philippe-Égalité, meanwhile, went to the guillotine in 1793. How, then, did the duke of Orléans end up on the French throne by the 1840s? The answer, perhaps ironically, is revolution. Three days of Parisian insurrection in late July 1830 put an end to the increasingly conservative regime of Charles X, youngest brother of Louis XVI. Charles’ abdication and flight to England created a power vacuum. Some called for a return to the republic, with Lafayette, commander of the National Guard  mooted as a possible leader. But the idea of a republic was a divisive one. It remained closely associated in the mainstream political imagination with the spectre of the guillotine. In this context a constitutional monarchy headed by Louis-Philippe seemed an ideal compromise, designed to head off efforts to reinstate the republic. With his revolutionary (but moderate!) pedigree, it was hoped that Louis-Philippe would satisfy most of those who had risen up against the repressive policies of Charles X. On 31 July Louis-Philippe appeared in front of the crowd on the balcony of the Hôtel de Ville (the Parisian city hall), wrapped in a tricolour , and embraced Lafayette. This new and improved version of a constitutional monarchy, Lafayette is supposed to have said, would be the ‘best of all possible republics’. Louis-Philippe was one of the wealthiest men in France when he ascended the throne, but in the early years of his regime he sought to play the role of a ‘Citizen-King’. Whereas Charles X was ‘King of France’, he became ‘King of the French’. He dressed like an ordinary bourgeois, walked daily through the streets of Paris, and sent his sons to Parisian lycées rather than having them educated at court. Conscious of his status as a compromise monarch, he played up his revolutionary past and paid homage to the Napoleonic legend, culminating in the return of Napoleon’s body to France in 1840. Louis-Philippe also transformed part of the Château of Versailles into a museum to honour ‘all the glories of France’ – I have written about this in an earlier post. The most realistic threat to Louis-Philippe’s regime came from the republicans, who – believing that Louis-Philippe had broken his promises to protect press freedom and make the French electoral system more democratic, and struck by the corruption and greed they saw at the heart of the regime – became increasingly convinced that the revolution of 1830 was escamotée (stolen) and should be ‘remade’. Through groups like the Société des Droits de l’homme (the Society of the Rights of Man) and the press, the French republican movement grew in size, though it could never be described as a mass political organisation at this stage. ‘Gargantua’ earned Daumier three months in jail. As the government began to clamp down on representations of Louis-Philippe in caricature, hauling Philipon and his cartoonists into court on charges of lèse-majesté , they became ever more creative in simultaneously depicting the king without depicting him. In November 1831 Philipon famously defended himself in court with a series of sketches, evolving from an obvious portrait of Louis-Philippe to a pear. Philipon’s sketches from November 1831, showing the metamorphosis from Louis-Philippe (top left) to a rough pear shape. His argument to the court was that each image resembled the previous one, but that only the first was definitively ‘the king’. In so doing, Philipon raised questions about the ‘reality’ of what was being represented in graphic satire. This was ‘Ceci n’est pas un pipe’ a century early. In 1844, Victoria returned Louis-Philippe’s hospitality, welcoming him to Windsor. Just four years later he would cross the Channel again, albeit in rather different circumstances. Like his cousin Charles X, he too had been removed from the French throne by revolution. In February 1848, Parisian protests against the banning of a banquet calling for electoral reform caught Louis-Philippe and his government off-guard. Their indecision, and the opportunism of republican politicians who saw their chance and took it, led to Louis-Philippe’s abdication and the creation of the Second French Republic. The first and last Orleanist king of France followed the well-trodden route to exile in England. Louis-Philippe and his family took up residence at Claremont, a property owned by King Leopold of Belgium (Louis-Philippe’s son-in-law) and offered to the Orleans family by Victoria. In my book, I’ve written about how major French republican caricature journals largely ignored Louis-Philippe after his exile, perhaps in an effort to smooth over old divisions in support of the fragile Republic. Cheaper, individual prints, however, had no such compunctions about keeping the peace, and many cartoons were produced that mocked the ex-king as he entered into exile. Here is a rather appropriate one, featuring both Louis-Philippe and Victoria. ‘Louis-Philippe surpris par la Reine d’Angleterre dans le parc de Windsor’ (Louis-Philippe surprised by the Queen of England in Windsor Great Park), cartoon from 1848. The cartoon returns to the scatological themes of images like ‘Gargantua’, showing Louis-Philippe trying to spare his blushes (and those of his horrified host) after Victoria has caught him relieving himself in Windsor Great Park. Note the top hat and umbrella: these symbols of bourgeois respectability were part of the graphic satirical shorthand for Louis-Philippe both during and after his reign, reflecting his efforts to be seen as a ‘normal’ bourgeois king. It is interesting (and, I suspect, deliberate) that this episode of Victoria deals directly with Anglo-French relations at a time when contemporary Anglo-European relations are at their lowest ebb in some time. As I noted at the start of this piece, Louis-Philippe was keen to enhance the relationship between Britain and France during his reign, translating the British Foreign Secretary’s reference to a ‘cordial, good understanding’ as entente cordiale (which we normally use to refer to the 1904 agreement between the two countries). A painting specially commissioned to mark the entente, from 1846, features portraits of Victoria and Louis-Philippe, scenes from their visits to Windsor and the Château d’Eu (Louis-Philippe’s private country estate), as well as a painting of Victoria presenting Louis-Philippe with the Order of the Garter . Projet décoratif pour l’Entente cordiale, Pruvost-Dumarchais (1846) – Louvre. There are even two rather jolly knights, one English, and one French, reflecting ideals of cooperation and the contemporary vogue for all things medieval. Improved Anglo-French relations did not end with Louis-Philippe, moreover. In April 1855 Louis-Napoleon Bonaparte, by now Napoleon III, visited Windsor with his wife Eugénie and was, like Louis-Philippe, invested into the Order of the Garter. The imperial couple returned the favour that summer, hosting Victoria and Albert at Versailles and Saint-Cloud. In their hectic schedule, Victoria even insisted on visiting the tomb of Napoleon at Les Invalides – a striking gesture, given his status as bogeyman in the popular imagination of nineteenth-century Britain. All this serves to remind us that the ‘island nation’ story of Britain, of a country that does not need – indeed, we are asked to believe, has been diametrically opposed to – its European neighbours, is fundamentally untrue. Indeed, it does a disservice to the complex historical relationship between ‘perfidious Albion’ and the Continent, especially France – a story of conquest, of antagonism, but also (and perhaps most importantly) of cooperation. Yes, America’s Favourite Fighting Frenchman, the same one. The French flag under Louis XVIII and Charles X was the white flag of the Bourbons. Louis-Philippe reinstated the tricolour, symbol of the Revolution. J.P.T. Bury, France 1814-1840, p.41. You can read more about republican caricature during the July Monarchy in my book, The republican line: caricature and French republican identity, 1830-52 (2015) and in David Kerr’s Caricature and French political culture, 1830-48: Charles Philipon and the illustrated press (2000). Elizabeth Childs’ ‘Big Trouble: Daumier, Gargantua and the censorship of political caricature’, Art Journal 51 (1992), is a great study of this image in particular. In this context lèse majesté was considered an act against the dignity of the king. This persists into the present: Sandy Petrey’s 2005 book on the rise of French realism was titled In the Court of the Pear King, and the title of this blog is borrowed from it. Yesterday (3 July 2017) the French president Emmanuel Macron addressed the Assemblée Nationale and the Sénat en Congrès, in the Salle du Congrès at the palace of Versailles. Macron’s speech to the combined houses of the French parliament was an unusual move, though not without precedent – François Hollande addressed both houses at Versailles in the wake of the terrorist attacks on Paris in November 2015, and Nicolas Sarkozy convened Congrès in June 2009 to respond to both the ongoing economic crisis and to criticism of his government’s legislative programme. However, both of these speeches were exceptional, in contrast to Macron’s stated intention to address the two houses annually. Instead, I’d like to suggest an alternative reading of the President’s choice of Versailles – one that draws on nineteenth-century precedent, albeit not the legitimist politics of the early Third Republic or the Bonapartism of the Second Empire. Versailles is, above all, marketed as a royal palace. It’s why tourists clamber on to RER C in their hundreds of thousands. It’s why Kimye had a bit of their wedding there (replete with an eighteenth-century carriage ride for the happy couple. Kim and Kanye know what happened to Marie-Antoinette, right?) Most of the visitors to the Château probably don’t even notice the inscription on each wing of the palace as they walk through those golden gates. In so doing, Louis-Philippe could also attempt to cement his own regime by ostensibly reconciling seemingly diametrically opposed political traditions and histories. As a member of the Orléans branch of the French royal family, Louis-Philippe was considered a Prince of the Blood and was a cousin of Louis XVI, Louis XVIII and Charles X (who was deposed in the July Revolution that brought Louis-Philippe to power). However, he also boasted (in every sense of the word) a revolutionary pedigree. His father, Philippe-Égalité, sat in the Convention and voted in favour of executing his cousin Louis XVI. Louis-Philippe himself served in the Revolutionary armies and fought at Valmy and Jemappes in 1792 before exiling himself from France as the Revolution entered its more radical phase. As king of a divided people, Louis-Philippe tried to use an image of French history as diverse but unified to rally support for the new regime. The Musée de l’Histoire de la France at Versailles was central to this project. Its crowning glory is the Galerie des Batailles, decorated with busts of French military leaders from the Middle Ages to the Napoleonic Wars and enormous history paintings of key battles in the history of France, from Tolbiac in 496 to Wagram in 1809. Louis-Philippe indulged his ego in the Salle de 1792, dedicated to the events and military leaders of that year, and the Salle de 1830, which combines vast paintings of the July Revolution with allegories of national reconciliation. The Salle du Sacre (Coronation Room), meanwhile, is all about Napoleon Bonaparte, featuring a full-scale copy of David’s painting of his coronation as Emperor. In 1840 Louis-Philippe gave further weight to the Napoleonic legend with the retour des cendres, the return of Napoleon’s remains to France. What does all this have to do with Macron, then? In assessing his choice of Versailles it is worth remembering (his obvious love of pomp and ceremony aside) his emphasis on being neither left nor right – of occupying a political position that is centrist, but also intended to transcend political division to create a more unified whole. No doubt Macron, whose choice of the Louvre for his post-election celebration also led to accusations of monarchical tendencies, would agree with the basic premise of Louis-Philippe’s celebration of ‘toutes les gloires de la France’. But the criticisms (and in some cases) erroneous comparisons to the ancien régime that greeted Macron’s address to the Congrès also rather obscure the many layers of meaning and symbolism embodied in a building like Versailles – or, indeed, the Louvre. Les Invalides is another case in point. This military hospital, built by Louis XIV and transformed into a Napoleonic shrine with the burial of Napoleon’s remains there in 1840 (thanks to Louis-Philippe), will on 5 July be the site of the republican state funeral for Simone Veil. These are buildings and spaces that can be simultaneously monarchist, revolutionary, imperial and republican. Ninety years ago today, on 7 April 1927, the greatest film ever made  premiered at what was then called the Théâtre national de l’Opéra, and what is now called the Opéra Garnier, in Paris. The charity gala (the proceeds were donated to charities supporting wounded veterans from the First World War) was attended by the President of the French Republic, Gaston Doumergue, as well as leading figures in the French military – including the young Charles de Gaulle and Marshal Philippe Pétain. The cover of the programme from the screenings of Napoléon at the Paris Opéra in 1927 . The programme is reproduced in the booklet accompanying the BFI’s 2016 DVD release of the film. Albert Dieudonné’s appearance in the film directly referenced the painting by Gros reproduced on the cover. I can’t remember exactly when or how I first found out about Napoléon, though I think it was sometime around the end of my final year as an undergraduate. I might have come across a reference to the film while doing some reading for a module, or had my curiosity piqued by a still used in another context. 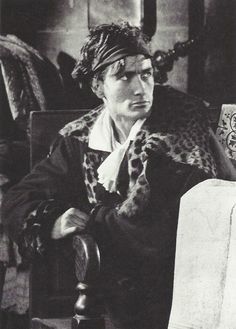 For some reason, I keep thinking of an image of Antonin Artaud as Marat, looking for all the world like a bedraggled Studio 54 survivor in his head wrap and moulting fur-trimmed coat. Antonin Artaud as Jean-Paul Marat. This is what I believe they call a ‘strong look’. The more I found out about it, the more the film became a peculiar object of fascination. I went to the library and borrowed the book about the film written by Kevin Brownlow, who has worked for more than sixty years to reassemble Gance’s masterpiece and ensure its preservation for future generations. I learned how the film was supposed to have been just the first of a six-part Napoleonic epic (the rest were never made, though Gance’s papers give some indication of what would have followed). I read about the butchering of the film by various distributors, keen to make it more palatable to cinemagoers used to far shorter pictures, and how Gance’s own attempts to revisit and rework the film in the 1930s, 1950s and 1970s had in some cases seriously damaged its reputation. 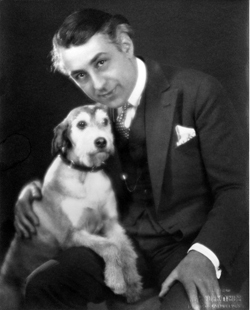 Gratuitous photo of Abel Gance with Brienne, the stray (cute) dog he adopted on the set of ‘Napoléon’. Brienne appears in the Toulon sequence, carried along by the revolutionary army. Having read Brownlow’s account of the acclaimed performances of his reconstructed version in the early 1980s, further digging around online revealed an ongoing battle over rights, finally resolved in 2008, that could have prevented any further screenings (Paul Cuff, an expert on Gance, usefully documents the film’s story in this article for Sight and Sound). The film was not available on home video or DVD, save in the less-than-satisfactory versions. The chances of seeing this thing were slim. I spent nearly ten years keeping an eye on the Cinémathèque Française, hoping for a screening in Paris, and enviously reading about screenings in the US. And then I finally saw it. I had planned, going into the screening at the Royal Festival Hall in November 2013, to write about my experience of finally getting to see this film that I’d spent so long reading about and harping on about to whatever poor unfortunate was hapless enough to listen. I found, however, that writing coherently about something so intensely emotional was no easy task. On some level, I was overwhelmed by actually seeing Napoléon, by experiencing something I had been anticipating for years. On another, I wasn’t prepared for the effect the film and Carl Davis’s magnificent score had on me, nor for how emotional the entire day would be – beginning with meeting Kevin Brownlow at a book signing beforehand. It was as astonishing as I had hoped, from that first appearance of the little bicorne hat in the snow to the expanse of water, across three screens, that brings the film to an end. As the screen switched suddenly to bleu, blanc, rouge, I realised I had been holding my breath. My gut instinct told me to stand up and roar approval, but I held back for a second. Then I noticed that the elderly man to my right was celebrating like he’d won the World Cup – and I let go. 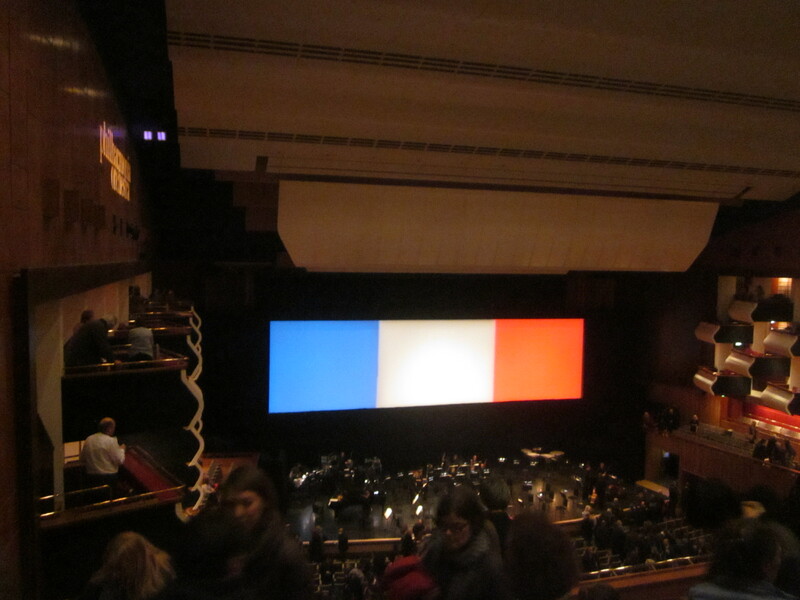 Post-screening at the Royal Festival Hall in November 2013. Out of shot: me trying to pull myself together again. In the days that followed the screening, I was still getting over it. 4 days on, and I've still got 'not going to see #Napoléon again for ages and ages' melancholy, mixed with 'I can't believe I saw that' joy. Here’s the trailer for the digitised restoration. The close-ups! Oh my, the close-ups. There were some concerns expressed by enthusiasts about the transfer to digital, and whether the film would lose its mythic status through newfound ease of access. Silent London’s review of an advance screening suggested that the finale was ‘inevitably going to be diminished’ when viewed on a TV or computer screen, and noted that the ‘joins’ in Gance’s masterpiece were rendered more visible through digitisation. In truth, I quite like seeing his handiwork, rather like being able to hone in on individual brushstrokes in a painting and then step back to appreciate the art as a whole. And, having seen (and introduced!) the digital restoration with an audience twice, I can happily report that there is simply no diminution of Napoléon’s emotional pull or cinematic magic. I admit that I would like to see the whole thing on film, with an orchestra, at least once more in my life – if only for the sheer joy of hearing two more projectors whirr into life as the final triptych sequence approaches. When I received the DVD of the film (a complete and utter bargain which you should buy, and buy directly from the BFI) I marvelled that something so huge could be made so compact. Concerns that being able to stick on Napoléon whenever you like will somehow undermine this masterpiece, however, are rather wide of the mark. Accessibility is giving new life to the film. Recently, I introduced Napoléon for an audience at The Witham in Barnard Castle, County Durham, an event accompanying the Bowes Museum’s ‘Allure of Napoleon’ exhibition. Right at the end, as the rushing water disappeared and was replaced with the bold tricolour, I heard the older woman sitting behind me catch her breath, sigh happily, and say ‘Oh, wow’ to no one in particular, as if this was the best thing she had ever seen. That Gance’s masterpiece is now within the reach of everyone is perhaps the best ninetieth birthday present Napoléon could have. This is not up for discussion. 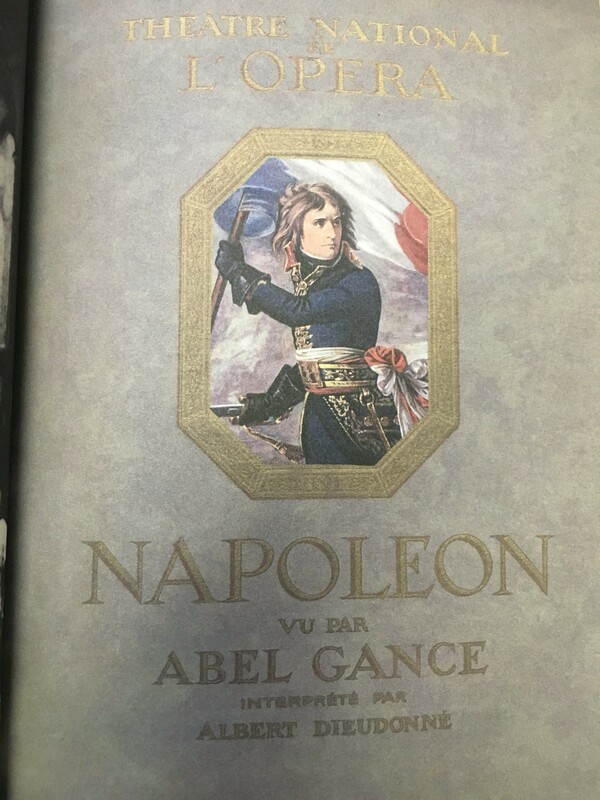 My account of the première of Napoléon is based on Kevin Brownlow’s excellent Napoleon: Abel Gance’s Classic Film (2004; first published 1983), pp137-145. Paul Cuff’s detailed study of the production of the film contains some discussion of what might have been, including the visual reference points used by Gance in planning sequences on Saint Helena. See Cuff, A Revolution for the Screen: Abel Gance’s ‘Napoléon’ (2015). Last year I wrote about the decision by French president François Hollande to select four people associated with the Resistance – two men and two women – for entry to the Panthéon in Paris in 2015. 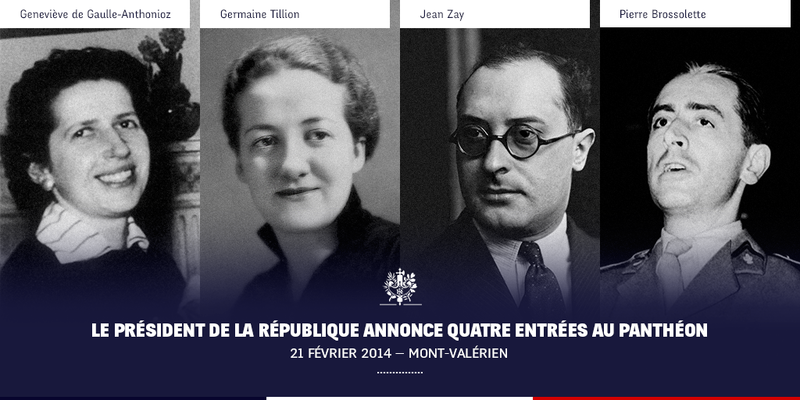 Tomorrow evening, the four – Germaine Tillion, Geneviève de Gaulle-Anthonioz, Pierre Brossolette and Jean Zay – will be interred in the Panthéon. Today (26 May) the people of Paris are invited to attend ceremonies in the 5th arrondissement, culminating in an event at the Sorbonne this evening. (Full details and a timetable for the two days’ events can be found on the Mairie de Paris website here. As the plan for today and tomorrow shows, the commemorative and ceremonial events surrounding this Panthéonisation emphasise the act of ‘resistance’, as well as the importance of republican education – this focus on education reiterates one of the elements emphasised by François Hollande in his inaugural speech in 2012 as a theme for his presidency. Only two of the coffins processing through the cinquième today and tomorrow actually contain remains. It was announced earlier this month that Tillion and de Gaulle-Anthonioz’s families had requested that their bodies not be exhumed from their current graves. Instead, their ‘coffins’ will contain soil from their final resting places. This approach is not unusual in Panthéonisation history. Nicolas de Condorcet, inhumed in 1989 as part of the Revolution’s bicentenary, isn’t really in the Panthéon at all. Following his death in prison in 1794 he was buried in a communal grave, so it was impossible to locate his remains. Questions also remain about whether the remains interred in 1964 as ‘Jean Moulin’ are really those of the résistant. Such cases reiterate the importance of Panthéonisation as a symbolic gesture. Indeed, the French government has argued that those commemorated in the Panthéon with a plaque or a memorial, but not actually inhumed there, should be considered equal ‘Panthéonisees’ (this may not actually be a word). This was last seen in 2011, when the poet and politician Aimé Césaire was commemorated with a plaque due to his family’s wish that he remain buried in his beloved Martinique. The Panthéon’s current status as a secular temple to the ‘great men’ (and women!) of the Republic is down to the author of Les Misérables. He was the first secular Panthéonisee for 74 years, following the Panthéon’s usage as a church during the Restoration and then the Second Empire. 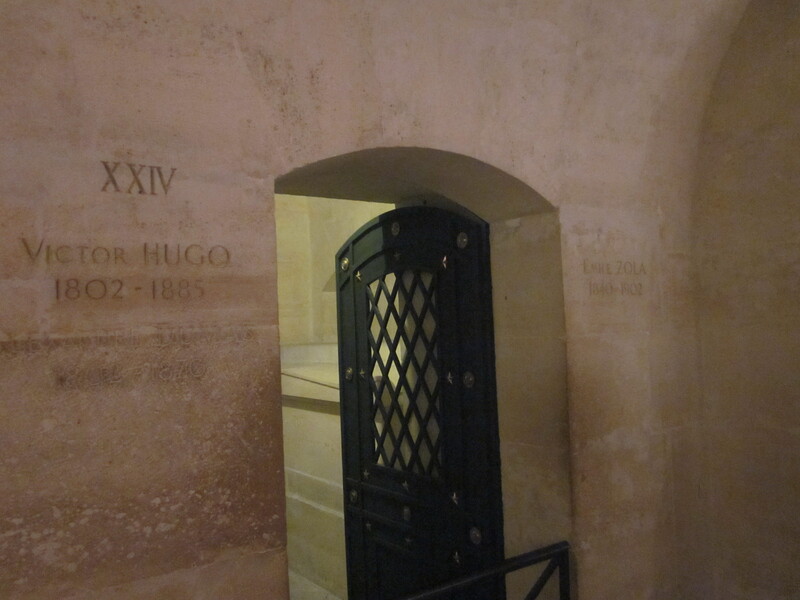 Following his death on 22 May 1885, committee tasked with planning Hugo’s state funeral proposed that he be buried not in Père-Lachaise Cemetery, as might have been expected, but in the Panthéon. Following legislation passed by Jules Grévy, president of the Republic, the process of transforming the Church of Saint-Geneviève into a secular temple began. Hugo’s funeral was witnessed by two million people. His (slightly over-the-top) catafalque, for what it’s worth, was designed by Charles Garnier – architect of the Paris Opéra. Emile Zola died in 1902 from carbon monoxide poisoning caused by a poorly ventilated chimney. At the time, some suggested that Zola’s death was suspicious – an act of vengeance, perhaps, for Zola’s role in publicising the cause of Alfred Dreyfus. Zola was originally buried at the Cimetière de Montmartre in a frankly rather naff tomb. In 1906, however, the campaign began to have him reinterred at the Panthéon. In spite of fierce opposition from the conservative right, the support of Georges Clemenceau and Jean Jaurès secured Zola’s Panthéonisation. 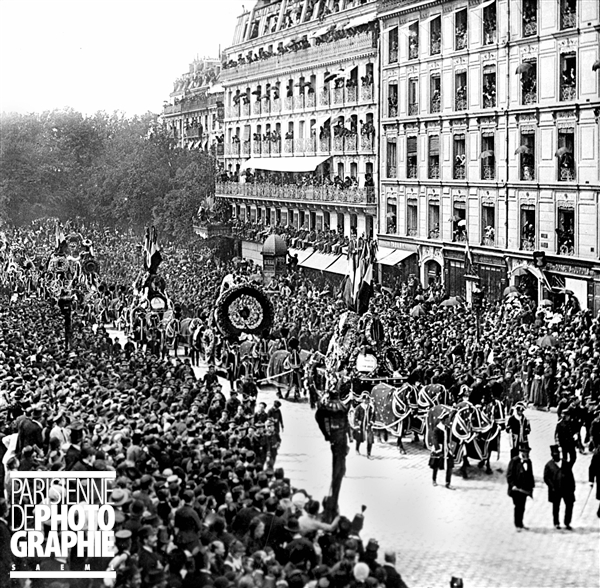 The event in the summer of 1908 was tense, to say the least, and culminated in an assassination attempt on Dreyfus (his would-be assassin was later acquitted). Zola now rests in Caveau XXIV, with Hugo and Alexandre Dumas père. The remains of Emile Zola arrive at the Panthéon, 4 June 1908. A real personal favourite for research reasons, this one. 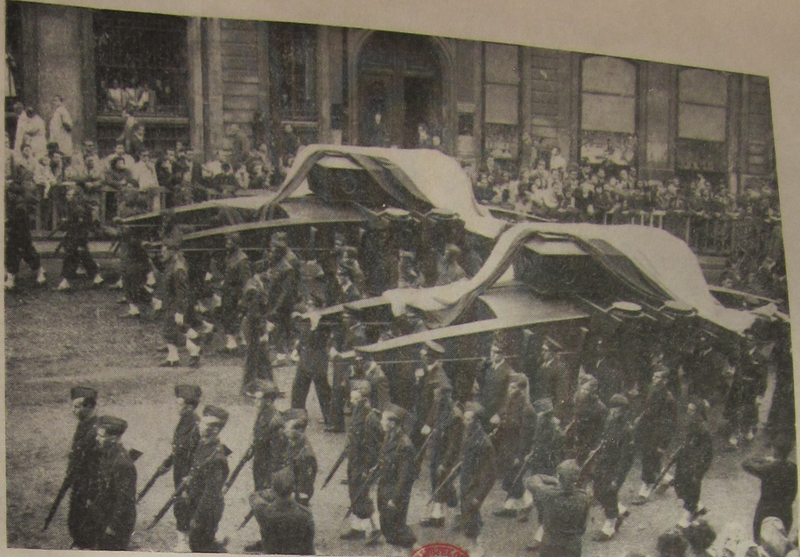 Traditionally, revolutionary anniversaries are accompanied by Panthéonisations, and this double inhumation in May 1949 was intended to mark the centenary of the 1848 Revolution. The choice of Victor Schoelcher in and of itself says a great deal about how the commemorative committee in 1948 wanted 1848 to be seen and understood a century on, and emphasises the importance of the post-World War Two context for understanding this centenary. It was hugely symbolic that Victor Schoelcher, the apparent hero in the abolition of slavery in April 1848, was chosen for the honour rather than one of the Second Republic’s more prominent political figures. The decision to simultaneously Panthéonise Félix Éboué, governor of Chad and an early supporter of the Free French, reiterated this Panthéonisation as one designed to speak to the citizens of the new départements et térritoires d’outre-mer – the former French colonies, granted new status in 1946 – as much as to those of the métropole. It’s also worth noting that although this was officially a double Panthéonisation, three people were actually inhumed – Éboué, Schoelcher, and Schoelcher’s father Marc, in order to respect his wish that they be buried together. The remains of Victor Schoelcher and Félix Éboué are brought to the Panthéon, 20 May 1949. From a commemorative booklet published to mark the occasion. It was perhaps fitting that the first Panthéonisee of the Fifth Republic should be a member of the Resistance. Moulin’s inhumation was intended to coincide with the twentieth anniversary of the Liberation, and in many ways this ceremony was a perfect representation of the centrality of the ‘Resistance myth’ to Fifth Republic France. Moulin’s coffin was brought to the Panthéon accompanied by a torchlit procession, a reference to his role in the ‘army of shadows’, and the ceremony on 19 December was marked by a lengthy speech by André Malraux – himself Panthéonised in 1996 – that placed Moulin in a heroic lineage stretching back through Jean Jaurès and Hugo to Carnot and the ‘soldiers of the Year II’. Marie Skłodowska-Curie was the first woman to enter the Panthéon in her own right, alongside her husband Pierre. The ceremony in April 1995, like the events of today and tomorrow, emphasised education and, naturally, science. Each coffin was carried by six students of physics and chemistry from Université Paris-VI. The Curies were accompanied on their final journey up the rue Soufflot by a group of schoolchildren carrying scientific symbols. Speeches were given by François Mitterrand, the French Nobel physicist Pierre-Gilles de Gennes, and – in recognition of Marie Curie’s Polish nationality – Lech Wałesa. Marie Curie’s coffin was lead-lined, due to the risk of radiation from her body. Jacques Chirac decided to Panthéonise the author of the Three Musketeers in March 2002. I’ve included this Panthéonisation to round off this little selection for one main reason: it’s easily one of the barmiest there’s ever been. Dumas’s coffin was covered with a blue cloth inscribed with Tous pour un; un pour tous – or, for English-speaking fans of the Musketeers, ‘All for one and one for all’. The evening ceremony saw Dumas’s remains brought up the rue Soufflot accompanied by people dressed as characters from his books. (I have yet to ascertain whether anyone dressed up as the various people guillotined during the Revolution in La Femme au collier de velours or the stories in Les Mille et un fantômes; this could have been just a tad awkward.) Four men dressed as D’Artagnan and the Musketeers carried the coffin to the Panthéon. Just in case this wasn’t quite enough, a woman dressed as Marianne led the procession, seated on a white horse. At long last, the city authorities in Paris have announced that they are taking concrete steps to put an end to the ugly phenomenon of ‘love-locks’ that have blighted the city’s bridges and railings since the mid-2000s. Not wanting to seem overly harsh, the city has decided to encourage people to share ‘romantic’ photos of themselves on social media and to create what it has called a ‘social wall’. The urgency of dealing with the love-lock problem was starkly highlighted in June of this year, when a section of the nineteenth-century Pont des Arts – perhaps the structure most afflicted by love-locks – fell away after being damaged by the weight and corrosion from several hundred of these ‘romantic’ padlocks. I am unashamed to state outright that I despise love-locks. When I lived in Paris I tended to avoid the Pont des Arts, because it was simply too irritating to see couples adding their own padlock to the thousands that were already slowly corroding and damaging the structure of the bridge. Then the Pont de l’Archevêché, behind Notre-Dame, began to suffer. Then, when space on both of these bridges became tight, locks appeared on those typically Parisian railings in the vicinity of both bridges and beyond. If it’s a railing, and it’s near the Seine, you can bet there’s probably a rusty love-lock attached to it. The phenomenon is not Parisian in origin, of course, and has spread beyond the City of Light. It has been suggested that it originated in Hungary, but it can now be seen in almost every city. In Dublin, people started to attach locks to the Ha’penny Bridge – though Dublin City Council have now announced plans to remove the locks once a fortnight. This may be a losing battle, however, as the Evening Herald has also reported that people are beginning to place love-locks on the newly opened Rosie Hackett Bridge. In Newcastle, the beautiful (and only recently restored) High Level Bridge, designed by railway pioneer Robert Stephenson, is also blighted by the phenomenon. A few months ago I was startled (and horrified) to see love-locks appearing on the ornate city crests on Sunderland’s Wearmouth Bridge. These disappeared as quickly as they’d arrived, however. Perhaps I seem like a killjoy, miserably tutting at loved-up couples as I made my way around Paris. But to me, love-locks have always been a pox on the urban landscape, an unwanted and destructive intervention into a city. Everyone wants to leave some kind of mark, it seems – and this is the motivation behind the Paris city council’s attempt to get people to take selfies, accompanied by the hashtag ‘#lovewithoutlocks’. In Paris, examples of this rather self-centred approach to tourism exist beyond the love-locks. 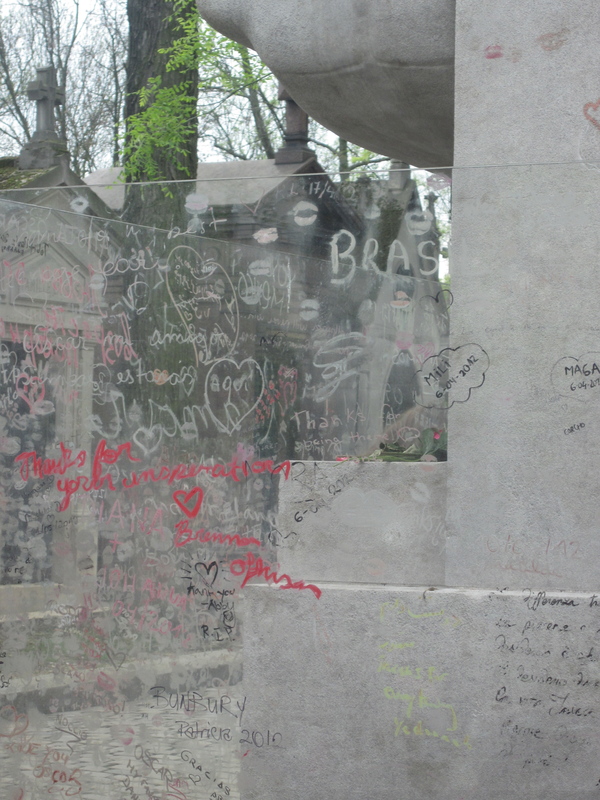 Oscar Wilde’s tomb in the cemetery of Père-Lachaise is a case in point. Wilde’s tomb is marked by a large limestone sculpture by Jacob Epstein, completed in 1914. At some point in the recent past – possibly in the 1990s, though the phenomenon intensified in the 2000s – visitors to Wilde’s grave began to plant kisses on it, thus leaving the sculpture coated in a greasy, smeared film of oil and pigment. 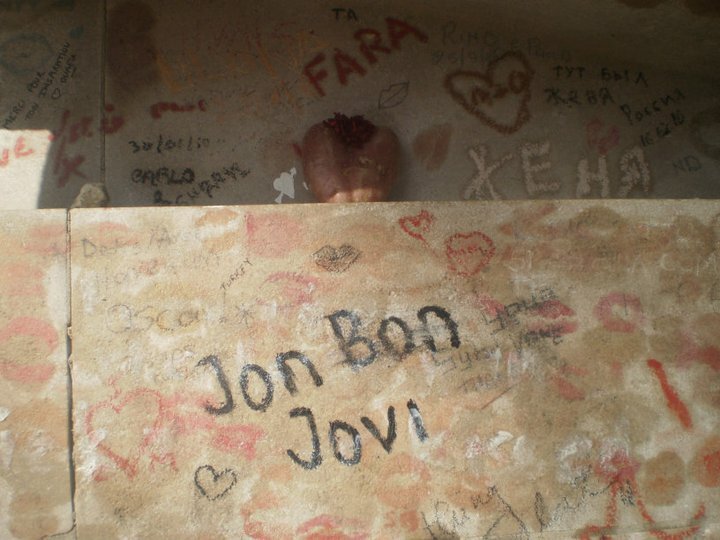 The tomb was also marked with graffiti, ranging from the adulatory (‘We love you Oscar’, that kind of thing) to the downright bizarre (a heart-shaped potato, accompanied by the words ‘Jon Bon Jovi’ – see below). In 2011 a glass barrier – part funded by the Irish state – was erected around the tomb, intended to protect the monument from further damage. It has not stopped the lipstick brigade, who have simply transferred their affections to the glass. The persistent graffiti at Wilde’s tomb, like the love-lock phenomenon, seems indicative of an extremely individualistic attitude to tourism and to the urban environment. What matters is not appreciating the city for itself, or paying one’s respect to a writer by simply visiting his grave and taking a photo, but rather leaving a physical, literal mark – a rusty, corroding, greasy mark at that – on the urban environment. Such an attitude seems strange to me in a city like Paris, which is not exactly lacking in ‘romantic’ things to see and do that don’t compromise or damage the city. Unfortunately, I’m not sure how much this approach can be curbed. The expensive glass barrier has done little to spare Epstein’s sculpture from the kisses of Oscar Wilde’s devoted ‘fans’, and it remains to be seen how effective the city of Paris’s campaign for ‘love without locks’ will be. A hundred years – is that all we’ve got? After what has – for historians of France, anyway – felt like a long and drawn-out wait, white smoke has issued from the Elysée Palace. François Hollande has announced the next group of people to enter the hallowed crypts of the Panthéon. Hollande has chosen a whopping four new entrants, all linked to the Résistance during the Second World War: Pierre Brossolette, Jean Zay, Germaine Tillion and Geneviève de Gaulle-Anthonioz (niece of Charles de Gaulle). Panthéonisation is the French republican equivalent of canonisation: a recognition of the chosen person as an embodiment of French republican values, as a role model and an inspiration to other citizens. Those buried there include Voltaire and Rousseau, interred there in the 1790s by revolutionaries keen to stress the lineage from Enlightenment thought through to the events of 1789, as well as a plethora of ‘great men’ from the nineteenth and twentieth centuries. Some of these, like various Napoleonic generals, are largely ignored by contemporary visitors. Others continue to attract considerable attention. A particularly popular spot is Caveau XXIV, the crypt that houses the remains of Victor Hugo, Emile Zola and Alexandre Dumas. It may seem fitting to ensure these literary greats lie side by side for all eternity, but one can’t help but wonder how they might have felt about it. Caveau XXIV, final resting place of Victor Hugo, Emile Zola and Alexandre Dumas. Hollande’s announcement today has, in one fell swoop, tripled the amount of women interred the Panthéon on their own merit. Up to this point only Marie Curie had received the honour; she will now be joined by Tillion and de Gaulle-Anthonioz. Given this longstanding gender imbalance, it’s perhaps unsurprising that over the past year feminist campaigners and the general public alike urged Hollande to choose at least one woman to be honoured with Panthéonisation. A poll run on the website of the Centre des Monuments Nationaux, described by Guardian journalist Agnès Poirier as ‘a kind of X-Factor style exercise in national glory’, asked the public to nominate candidates for entry to the Panthéon. The French feminist group Osez le féminisme (Dare to be Feminist) offered a list of four: the eighteenth-century feminist Olympe de Gouges, author of the Declaration of the Rights of Women and Female Citizens; Louise Michel, anarchist and icon of the Paris Commune of 1871; the feminist writer and philosopher Simone de Beauvoir; and Germaine Tillion, an ethnographer, resistance fighter, concentration camp survivor and campaigner against the use of torture by French forces in Algeria. Of these four, as we now know, only Tillion made the cut. 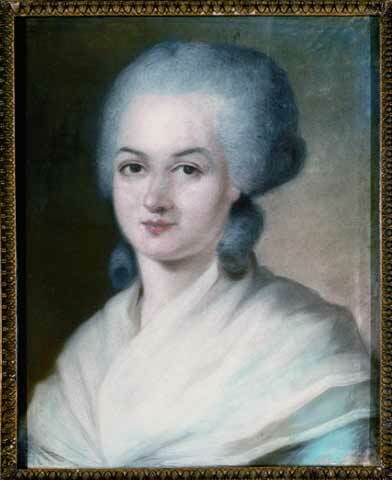 Olympe de Gouges, thought to be one of the potential entrants to the Panthéon. The desire to address the Panthéon’s severe lack of female incumbents was also seen at a more official level. In October 2013 Philippe Bélaval, president of the Centre des Monuments nationaux (CMN), the organisation responsible for looking after the Panthéon, prepared a report for President Hollande in which he urged him to only Panthéonise women, in order to begin a process of repairing this imbalance. Bélaval’s report also advised the president to choose women who displayed ‘republican resilience’; whose republican convictions had been strengthened by their experience of ‘hardship’. In following these recommendations, Hollande and his advisors had over two centuries’ worth of outstanding French women to choose from. However, the Bélaval report was also very clear about chronology, arguing that the women selected for Panthéonisation should be exclusively linked with ‘periods of hardship’ during the twentieth century, and not before. This report was intended only to guide the president in his choice, and did not include specific suggestions as to suitable figures for Panthéonisation. However, Bélaval’s focus on twentieth-century women immediately appeared to exclude significant women of the eighteenth and nineteenth centuries from consideration. If Hollande decided to follow this advice, then de Gouges and Louise Michel, whose names came up again and again in discussions on the topic in the French media over the course of 2013, were out of the running. Today’s announcement shows that Hollande has clearly ignored Bélaval’s suggestion to exclusively Panthéonise women during his presidency – but he appears to have taken on board his advice regarding both the importance of working towards achieving a greater gender balance in the Panthéon, and his belief that the new entrants should be twentieth-century figures. My point here is not to denigrate the two men and two women who will now enter the ‘temple of great men’ (and women?) that sits atop the Montagne Sainte-Geneviève. Brossolette, Zay, Tillion and de Gaulle-Anthonioz are all worthy of the honour. Seventy years after the liberation of Paris, perhaps it makes sense to focus on figures linked to the Second World War. Their contributions to the French Republic go far beyond their status as ‘résistants’. It is clear, however, that this is the primary motivating factor in their selection, as shown by Hollande’s deeply symbolic decision to announce the names at Mont Valérien, where many résistants, hostages and Free French fighters were executed during the Occupation. This approach to memory and commemoration appears to reveal a belief that the general public are unable to relate to anything earlier than the First World War, and that official commemorative events and rituals should therefore reflect this. If we are to take this at face value, it suggests that the eighteenth and nineteenth centuries are, in a way, done. People cannot ‘relate’ to them, or they do not have pre-existing knowledge, so it is pointless to try to improve public knowledge of these periods by including them in state-sponsored exercises in commemoration and memory. This emphasis on the public ‘relating’ to historic events is also in evidence in discussions around the centenary events for the First World War, where there appears to be a conflation of ‘living memory’ with commemoration and more long-term remembrance and understanding of the events. This approach can be seen in comments made in November 2013 in a Commons debate on the centenary, where the Conservative MP Andrew Murrison linked ‘disconnection’ from the war with the deaths of the last remaining veterans in 2009. All this seems to set a worrying precedent, where what we remember officially is, at least in part, based on how far we are from the event in question. It is not, of course, possible to remember everything. But if our selection of who and what we commemorate is based on the general public’s ability to ‘relate’ to them, and if that is intrinsically linked to the events being in the relatively recent past, then what happens when we reach 2114 and the bicentenary of the First World War? 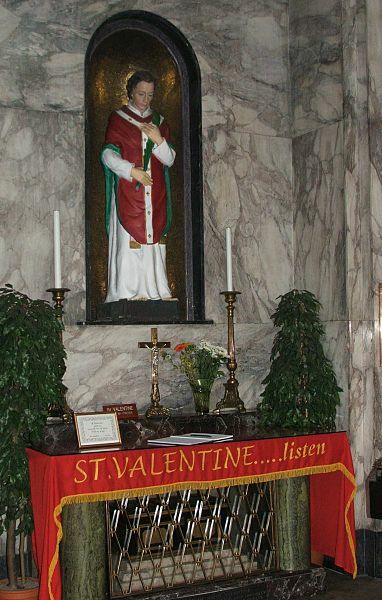 Most Dubliners will be aware of the presence of what are said to be the relics of Saint Valentine in the Carmelite church on Whitefriar Street. The remains, and a vial that apparently contains the blood of this third-century martyr, are kept in a specially built shrine featuring a life-size statue of Valentine. Then there are all the other locations claiming their own little bit of Valentine. There’s a shoulder blade in Prague, more skull fragments in Poland, some bones encased in an Italian-style life-size wax replica in a church in Missouri, and yet more relics in a comparatively sober wooden box housed in a church in the Gorbals in Glasgow. Every two years the town of Roquemaure, in southern France, parades its own set of Valentine relics through the streets as part of a festival commemorating the saint’s apparent intercession in ending a blight on the region’s vineyards in the 1860s. It has been pointed out that we might be able to explain the multiplicity of these relics by noting the fact that there was probably more than one martyr called Valentine. What’s more, it is comparatively rare for even entirely authenticated relics to contain more than a few bones or fragments of skeleton. What intrigues me most about the global spread of Valentine’s relics, however, is that it is intimately connected to the nineteenth-century craze for relics – especially relics of martyrs. I’ve always been grimly fascinated by the weirder elements of religious ritual and popular piety, and my recent research on nineteenth-century French Catholicism – especially on Denis Affre, the archbishop of Paris killed during the June Days in 1848 – has given me the perfect justification for reading up on relic cults and popular piety. The veneration of saintly body parts was big in the Middle Ages, but had rather fallen out of fashion in intervening years. 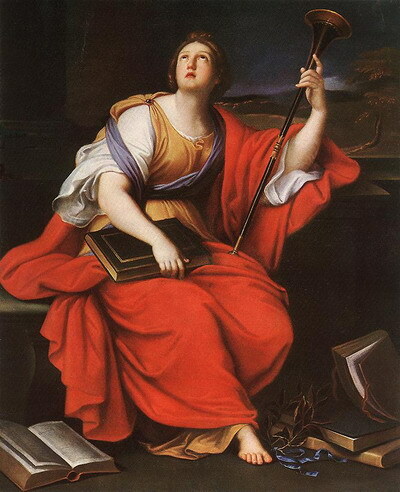 In the nineteenth century, however, the cults of saints and their relics experienced a major revival – one that, as both Philippe Boutry and Caroline Ford have pointed out, cannot be dissociated from the growth of ultramontane Catholicism during the same period. Boutry’s meticulous research in the Vatican archives has revealed the sheer scale of the trade in relics from Rome during this period. The main ‘commodities’ were the remains of so-called ‘martyrs’, taken from the Roman catacombs. Boutry has estimated that between 1800 and 1850 almost 1400 bodies or bits of bodies were sent from Rome – with official authorisation – to various dioceses, schools and orders around the world, with the majority sent to France and Italy. This practice continued until 1881, when Pope Leo XIII banned future exhumations from the catacombs. Though the Prague shoulder blade is said to have arrived there in the fourteenth century, most of the other bits of Valentine seem to have turned up in their current homes during the heyday of the relics revival. The Dublin relics arrived in 1836, after the Carmelite John Spratt was presented with them after a successful stint preaching in Rome. The Gorbals set was donated to the Franciscans in 1868 and then sent to Scotland. The arrival of the Valentine relics in Roquemaure was a typical example of the process whereby Roman martyrs (or bits thereof) ended up in French churches, with accounts differing as to whether it was the local bishop or a local landowner who procured the relics from Rome in a bid to halt the devastation of the vines by phylloxera. The meaning and significance of these relics has shifted and changed over time. Most of the bits of martyrs dug up out of the catacombs and shipped to various parishes around Europe in the nineteenth century are no longer on display, the rather morbid practice of placing bits of bones in expensive reliquaries for veneration having once again fallen out of fashion in mainstream religious practice. But some remain popular, and Valentine – whoever he really was – is one of them. Though the body parts housed in Whitefriar Street Church are usually stowed away in their special shrine, every 14 February the casket is placed in front of the church’s main altar so that it might feature in special ceremonies. On some level, it doesn’t really matter that these relics might all be Valentine, that none of them might be Valentine, or even whether Valentine really existed. Their purpose is more about being a physical manifestation of religious belief, superstitious as that can sometimes seem – and, in Valentine’s case, about the conflation of religious and romantic ritual. It has taken me longer than I had hoped to get around to writing this post. There are a lot of other things going on that occupy my time at present, but I also wanted to try to think this through properly before writing about it. I’ll set it out at the start: as someone who does history for a living, and who has an often fraught, but essentially unconditional love for history as a subject and an idea, I’m completely biased. I have a vested interest in defending history. Back in April the Irish government announced plans to reform the Junior Certificate curriculum, which would involve the removal of history and geography as core subjects for the Junior Cycle. Challenged by Diarmaid Ferriter on history’s (and geography’s) relegation to the ha’penny place, Minister for Education Ruairí Quinn defended the proposals by suggesting that history teachers could develop ‘short courses’ based on historical monuments or sites in their own locality. Trips to Vinegar Hill to learn about 1798 or to Trim Castle to learn about the Normans were among the snazzy, innovative ‘short courses’ the minister proposed. As has been pointed out by others, this ‘short course’ concept of history doesn’t really work in practice. Take Vinegar Hill, for example. Would the battle there have happened without the events of 1789 and after in France? Unlikely. And that’s before one considers the influence of the American Revolution on events. So how do you try to explain all this in a ‘short course’? ‘Short courses’ with a focus on local history cannot convey to students the all-important bigger picture. My point here, however, is not to critique the proposed new system for teaching history. It is to defend the subject in a more general sense. Since then Minister Quinn, his plans questioned again by Ferriter, has thrown down the gauntlet to historians. At the MacGill summer school in Donegal this summer, he stated that: ‘Historians owe a duty to the country to show why their domain of knowledge matters (and it does) and why 12-year-olds and their parents should take heed.’ Intriguingly, he added that the ‘target of their discourse should not be the State’, which seems to suggest that history should not be used to question the State: but that’s a matter for another discussion. Some Irish historians have taken the minister up on his challenge. Writing in the Irish Independent, Ciarán Brady warned of a future crisis in history in Ireland were the subject to be sidelined in the proposed manner. He also highlighted the many ‘transferable skills’, to use that much-vaunted phrase, that history can give its students: critical thinking, research skills, analysis and the ‘art of deduction’. Brady’s response also raised the issue of how history is taught, pointing to the vast amount of freely accessible, fascinating material now available online. Ciara Meehan picked up the question of history teaching, referring to her own experience of a secondary school teacher who relied purely on a well-worn textbook. When this whole debate first reared its head, I too found myself thinking about how I was taught history at secondary school. My Junior Certificate teacher was wonderful, taking us through the wide-ranging curriculum (everything from Irish monasteries to the Renaissance to the French Revolution) with enthusiasm and good humour. She even threw in some additional local history for good measure. At Leaving Certificate things were rather different, with a teacher who stuck closely to the tried-and-tested ‘learn off X amount of essays, and underline as much as you can in your textbooks’ method. As a result, the life was sucked out of some of the most interesting periods in both Irish and European history. We followed the ‘modern’ Leaving Certificate syllabus, studying topics like ‘Crises in the French Third Republic’ and the Russian Revolution. It was like being serenaded by a bad Beatles cover band: the original material was brilliant, but the interpretation ensured it lost all meaning. By comparison, studying European history as a first-year university student was like being at Abbey Road. there is no country free of the need to find new ways of reading the past as an inspiring way of thinking about everything else, including the present. Just before this conclusion, however, Toibín also notes that: It may be enough to study history in all its nuance and ambiguity for its own sake. That, in a nutshell, is also the basis for my defence of history. Others have and will continue to point to the skills you can gain from studying history, so there is no need for me to rehash the same arguments here. Of course, I am biased. But to my mind there needs to be a place for ‘education’ to be seen in a more old-fashioned or ‘classical’ sense – as something that equips children and young people on a social, cultural and intellectual level, not just something designed to get them a job. History is a crucial part of this conception of education. No doubt there will be some who see this as the opinion of an academic in an ivory tower, comfortably cut off from the hard realities of a post-Tiger Ireland where there is simply no room for a broad education, because it isn’t specifically tailored to the job market or the ‘demands of industry’. Education now – and the choice of each subject – has to be justified in quite restrictive and economically-based terms. Even Ruairí Quinn’s challenge to historians had the air of a Dragon’s Den appearance, where historians are expected to rattle off expected turnovers and overhead costs and market share. History does equip students with transferable skills. There’s no doubt about that, and this should be promoted. However, history deserves its place in a curriculum worth its salt for its own sake. In an increasingly globalised world, history shows you that on some level, everything is connected: that, for example, the actions of men and women on the eastern fringes of Paris on a July day in 1789 can have a direct impact on the actions of men and women in Wexford nine years later. History reminds you that good times come, and good times go. It gives you the ability to find out how the people who went before you – in Ireland or elsewhere – responded to the bad times. It consistently seems to prove that short-term thinking doesn’t work in the long run. And with that particular knowledge in mind, a better appreciation of history – and not just Irish history, I hasten to add – might help Ireland to work through a messy present. I love the Tour de France. It can get a hard time, not least because there’s always someone willing to pipe up that ‘they’re all on drugs anyway’, but such sniping is easy to ignore when there’s regular live coverage and nightly highlights on multiple channels. Those who find it hard to understand how anyone could happily sit and watch several hours of people cycling are missing out on the vaguely Zen experience of live Tour coverage, one that is interrupted from time to time by a dramatic breakaway or a nasty crash. When you finally get to see the Tour in the flesh, you come to realise that it is a full-on spectacle, a massive circus that rolls into town with countless team buses, cars, and trucks before there’s even the faintest whiff of cycling action. As you wait for the flash of brightly coloured Lycra and the whoosh of bikes going at top speed, you are entertained by the arrival of the legendary publicity caravan, a gaggle of ludicrous floats and decorated vehicles promoting the Tour’s myriad of sponsors. They hand out free tshirts, pens, caps and giant foam hands to a delighted crowd. Sometimes one wonders quite what the more surreal participants in the caravan have to do with cycling, but the caravan is now an essential (and popular) part of the modern Tour. 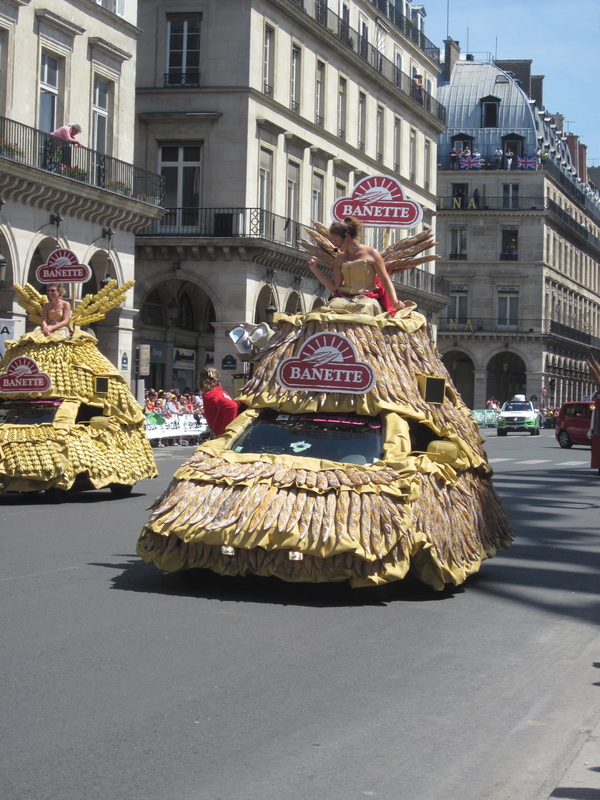 …and cars made of baguettes. The first Tour de France bicycle race took place in 1903, organised by Henri Desgrange in a bid to promote his sports newspaper L’Auto. Though Desgrange is seen as the ‘father of the Tour’ – to the point where his initials appear on the yellow jersey worn by the race leader – the actual idea for the Tour came from one of Desgrange’s journalists. The notion of a ‘Tour de France’ has much older roots, however. The annual journey of the cyclists around France (and frequently beyond French borders) recalls the ‘Tour de France’ made by apprentice artisan journeymen since the Middle Ages. As members of guild-type associations called compagnonnages, young trainees were expected to spend several years completing the tour de France des compagnons. Moving from town to town across France, they worked under master craftsmen until they had developed and honed their skills to a level where they too could open workshops approved by their compagnonnage and the local guilds. The organisation of each compagnonnage ensured that the apprentices would have food and lodgings in each town. As Christopher Thompson notes in his cultural history of the Tour de France, this connection between the epic bicycle race and the ancient route of the journeymen artisans was recognised by both the race’s organisers and its supporters. The first two editions of the Tour, in 1903 and 1904, visited the traditional major stop-offs on the compagnons’ route: Paris, Marseilles, Lyon, Toulouse, and Nantes. This memory of the origins of a tour de France, Thompson adds, continued into the twentieth century: in the late 1930s the mayor of Nantes, he notes, saw in the bicycle race a reminder of the three-year circuit he had completed as a young apprentice. For those who had been educated in French schools during the Third Republic, however, the term ‘tour de France’ would also have recalled a well-worn school textbook: Le Tour de France par deux enfants, written by Augustine Fouillée under the pseudonym G. Bruno. Intended as a primary school reader, the book remained in use from its publication in 1877 to the 1950s. Since disappearing from the school curriculum, Le Tour de France par deux enfants has been republished several times and remains in print. Such is its place in French culture and the national psyche that an article on the textbook by Jacques and Mona Ozouf featured alongside items as diverse as the Panthéon and the Marseillaise in Pierre Nora’s great work Les Lieux de mémoire (translated in English as Realms of Memory). Le Tour de France par deux enfants tells the story of two children, André and Julien Volden, who set out from the town of Phalsbourg in Lorraine to seek out their uncle after the death of their father. That the two children come from eastern France is no coincidence: the book appeared just six years after the annexation of Alsace and Lorraine by Prussia under the terms of the French defeat in the Franco-Prussian War. André and Julien’s departure from Lorraine acquires a further significance in that the story is set around October 1872, the deadline for residents of Alsace-Lorraine who wished to keep their French citizenship to leave the territories. In addition to teaching French children to read, therefore, the book also emphasised the idea that, despite the annexation, Alsace-Lorraine remained spiritually French. Their journey around France allows André and Julien to learn about various trades, skills and crafts but also to appreciate the geographic, linguistic and economic variety across the regions of the French republic. From the snow-covered heights of Mont Blanc to the busy port of Marseille, the children discover their country’s history and culture. Despite this great diversity, the children come to learn, France remains a unified whole under the umbrella of the Third Republic. On some level, the extensive coverage of today’s Tour de France still allows viewers to follow in the footsteps of André and Julien. Le Tour embraces and promotes the full geographic diversity of France (and beyond). A notable feature of most televised Tour coverage, especially in France, is the tendency of commentators to explain the various landmarks and features in the landscape as well as describe the race. French television coverage occasionally includes short filmed inserts that give the audience a more detailed insight into a particularly significant castle, church or chateau. In this, the hundredth edition of the race, this message is more prominent than ever. On the Tour’s official website it proclaims this year’s race to be ‘The Tour of the Beauties of France’, a ‘Tour of the whole of France, of every kind of France, of every French people too’. For the first time since its centenary ten years ago (i.e., the hundredth anniversary of the first Tour, as opposed to this year’s hundredth edition – it is a tad confusing), le Tour will not go beyond French borders. Its first stages were held on Corsica – the first time the race has ever visited the island. 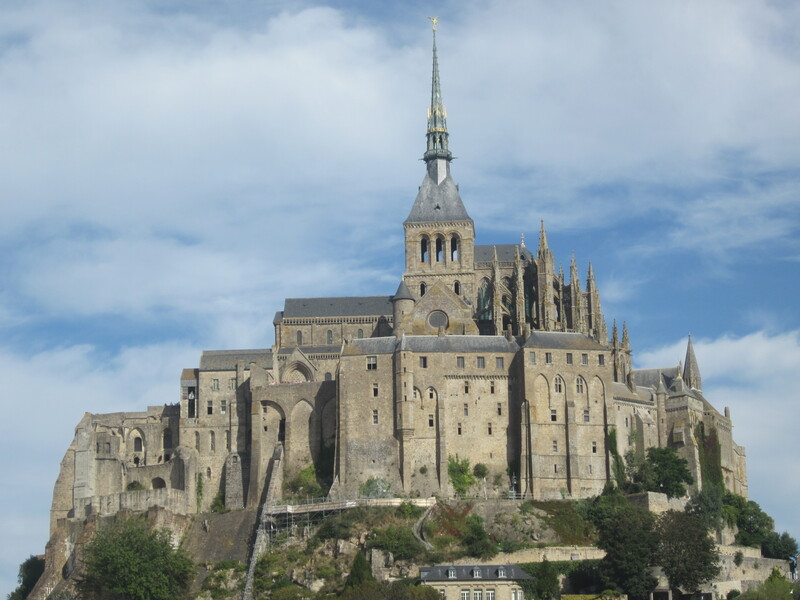 Other stages will be more picture-postcard than ever, with the cyclists finishing the eleventh stage at the foot of the remarkable Mont Saint Michel. Mont St Michel: incredible place, delicious beurre salé biscuits, ludicrously expensive omelettes. The final arrivée into Paris, held on a Sunday, is always a great occasion (fights for a good viewing spot on the rue de Rivoli aside), but this year it’s extra special. The riders depart from the palace of Versailles and arrive on the Champs-Elysées at dusk. They’ll even get to do laps around the Arc de Triomphe before finishing the final sprint. I can’t produce any statistics proving exactly how French tourism benefits from this focus on regional diversity and on France’s many attractions in the coverage and promotion of the Tour de France. However, there’s no doubting – in my case, at least – that regular and consistent viewing of the Tour tends to make sure that France, or some idea of it, gets under your skin. Thanks to my dad’s love of it, TV coverage of the Tour – and, as a result, footage of the French landscape – was a permanent fixture in my childhood summers. The Sunday afternoon arrival into Paris was a particular highlight. I am not suggesting that I was some kind of odd child prodigy who, witnessing Stephen Roche winning yellow on the Champs-Elysées in 1987, pointed at the screen and announced that when I grew up I would be a historian of that glamorous-looking place. However, it is fairly safe to say that a healthy dose of the Tour de France ensured that France always seemed a bit special to me. Perhaps le Tour has a lot to answer for. This work is licensed under a Creative Commons Attribution-NonCommercial-NoDerivs 3.0 Unported License. Exception: all third-party images reproduced on this blog are shared under Educational Fair Use. Therefore all copyright of third-party content posted here for research purposes belongs to its original owners.